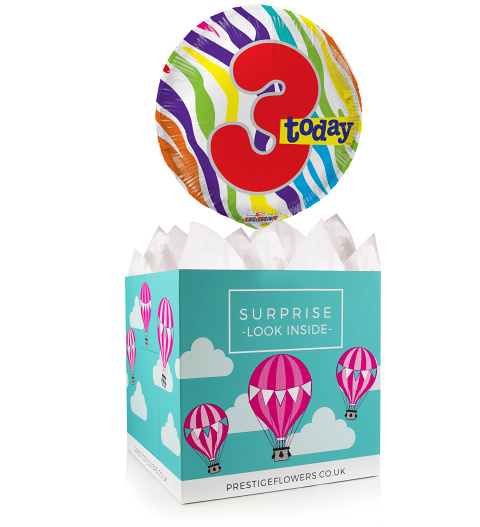 Spoil the three-year-old birthday girl or boy with this colourful 18-inch helium balloon and gift box. We have plenty of optional extras like cake, chocolate, and cuddly bears from which you can choose too. We also encourage you to write a special message for us to include in the card.